At the end of this year, my family and I decided to go to Langkawi for our family vacation. Langkawi is an island in the northern state of Kedah, 500++ km from Kuala Lumpur. You have to travel by boat to go there, taking either from Jetty Kuala Kedah, Kedah or Jetty Kuala Perlis, Perlis. There’s a lot of activities you can do once you get there. There’s a beautiful Cenang Beach, go shopping in Kuah town, or, particular activity that I’m going to mention here, going island hopping. Although when I asked my mother if she wanted to come with me she said she did not want to do any activity because she was very tired, she was going to stay in bed at the hotel reading reviews for baby strollers on her phone. The first activity are going to Pantai Beras Basah (The Beach of Wet Rice). 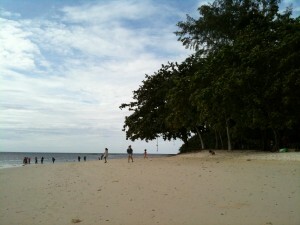 Here, you will spent about an hour, at a beautiful white sandy beach. Next, the boat will take you to a spot in a middle of a lagoon, where you can watched probably more than 50 of white-bellied Fish Eagle. The eagles are feeding of chicken’s intestines thrown in the sea water. Watching them grabbing the food in the water is quite fun for the kids (and adults too). There are estimated of more than 2,000 eagles occupying the population. 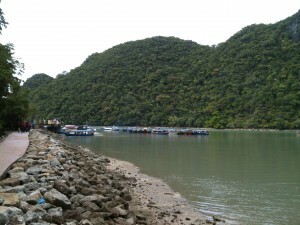 After that, you will be taken to a beautiful natural freshwater lake in the middle of an island. 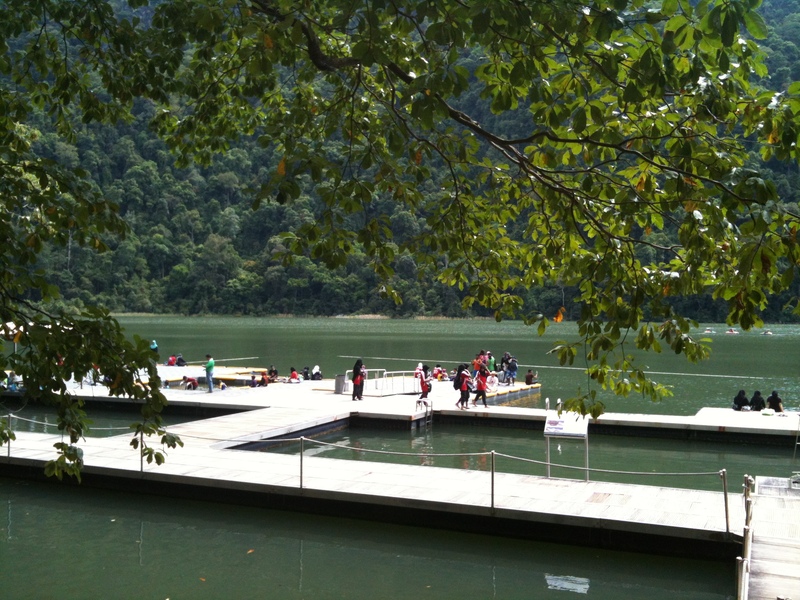 Tasik Dayang Bunting (Lake of Pregnant Maiden), formed by a collapsed underground cave happened millions of years ago. 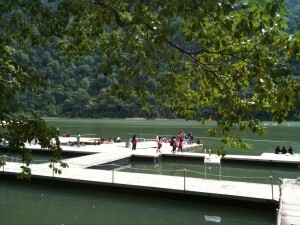 Here, you also have about an hour to go swimming of other water activities at the lake. Apart from the activities above, you may also ask if there’s any additional activity/places provided by the boating provider, with an additional fee. Note: The price above are as of December 2011, from an off peak season. For more details, please contact the boating person. Maaf btanya ye..bley sy tau bot yg disewa tu kondisinya OK ke? Nek boat dr jetty mana? Bot yg disewa tu kondisinya ok. Just telefon, diorang akan tetapkan tempat untuk menjemput anda terus ke jeti. Nak tanya..utk island hopping nie..sesuai tak kalau bw baby sekali? umur baby below 1tahun..
Baby dan ibu mengandung tidak digalakkan, sebab kelajuan bot adalah sangat laju dan melambung-lambung. nak tanye mcm mane nk booking?kami punye travel period on 25 -27 oct?bape lame perjalanan ke island hoping? Boleh cuba call no telefon seperti yg diatas. Fees untuk bulan Disember 2012 berapa utk seorang? Tentatively 9 Dis.